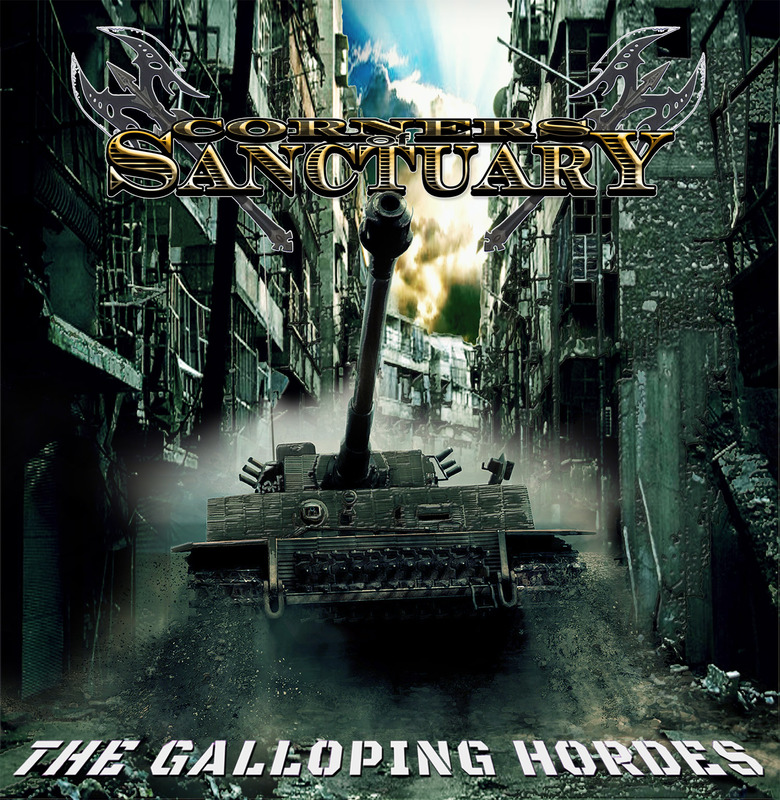 Philadelphia Metal makers Corners of Sanctuary (COS) have released a new vinyl edition of their 2018 highly acclaimed album “The Galloping Hordes.” The release will only be available for a limited time. The album, initially released last year on Killer Metal Records (Germany), and is now being reissued on vinyl by Exquisite Noise Records (US). 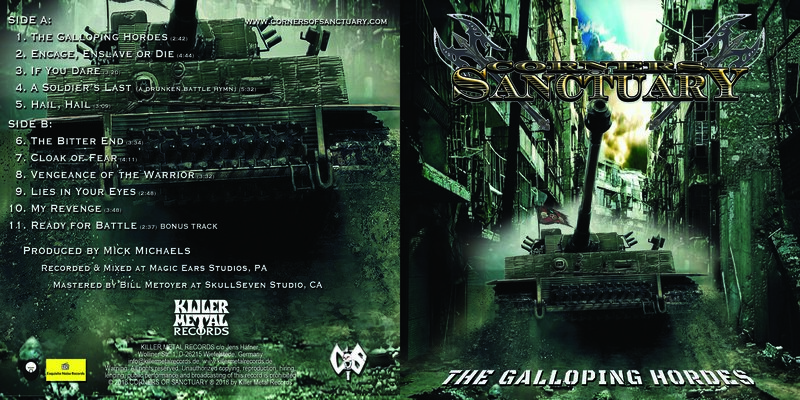 The limited time pressing will include the band’s original album cover artwork plus a bonus track “Ready for Battle.” All the album’s tracks have been newly re-mastered by LA producer Bill Metoyer (Slayer, Fates Warning, WASP), specifically for the vinyl format. In parallel with the vinyl release, COS is performing and currently in the studio working on new material for their next album already titled, “Heroes Never Die.” The new album is scheduled for release in 2020 on Killer Metal Records. In addition, COS is also recording several songs that will release as one-off singles throughout the remainder of 2019. The band looks to make the next single release in early June. “We plan to keep moving forward…stay the course,” said COS bassist James Pera. “It’s all about progress and really depends on how you choose the look at things…and we look at everything as an opportunity to experience,” he added. 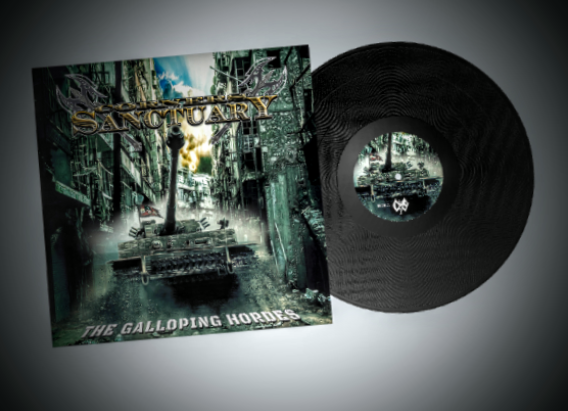 Fans can now order the vinyl release of “The Galloping Hordes” exclusively at the following link but only until June 29th. Corners of Sanctuary will be appearing with former Iron Maiden vocalist Blaze Bayley on April 29th, along with some New England dates in June and a West Coast tour in September which includes support for the Iron Maidens at the famous Whiskey A Go-Go. See schedule below.